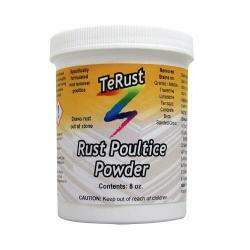 TeClean Granite & Marble Rust Stain Removal Poultice Powder makes removing rust stains a cinch. Use for rust stain removal in marble, travertine, limestone, granite, terrazzo, all natural stone and other porous surfaces. 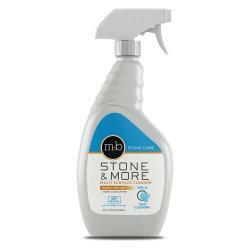 Great for removing rust stains in concrete and grout. Simple DIY application. Note: rust stains are sometimes impossible to completely remove. 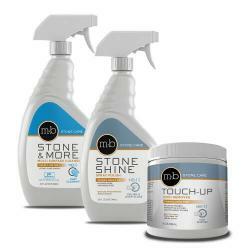 This product will remove most rust stains, however, it is not guaranteed to remove all stains. Old or deep stains may be permanent. Replacing the stone is the only option in such cases. Marble and granite rust stains occur from metal oxidation of objects left on the surface, repeated exposure to rusty water or from oxidation of metals within the stone itself (common with white marble). 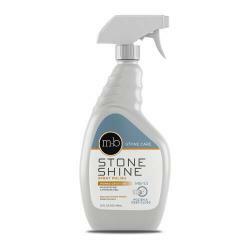 The yellow-orange-brown rust stains are embedded in the stone and cannot be scrubbed away. A rust stain removal process must be used to draw the stain out of the stone. This powerful DIY rust stain removal powder is formulated with a special blend of chelates and works deep into the stone to lift out and remove the rust stain. Scoop out the quantity of powder needed to cover the stain as stated below. Mix with water to make a paste like toothpaste (smooth, spreadable, but not runny). Cover entire poultice with standard plastic wrap putting some toothpick holes in the plastic wrap. Tape down the edges of the plastic wrap with masking tape. Leave alone until the paste is completely dry and hard (typically 24-48 hours). Remove the poultice paste and the stain will be gone or improved. Rust stain removal typically requires repeat applications. Continue with repeat applications until stain removal is complete. NOTE: Etching may occur on calcium-based stones (marble, travertine, limestone). This is an unavoidable consequence of removing rust stains and can be repaired. 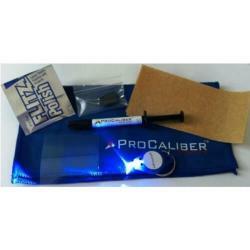 Once the stain is removed, restore polished surfaces with the "Etch Remover" for marble etching seen below. 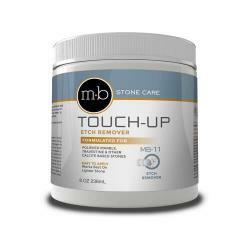 For marble etching (dull spots, glass-rings and water stain removal) use the Etch Remover / Marble Polishing Powder. 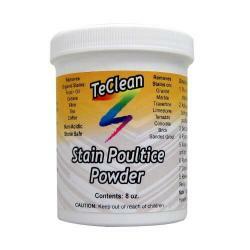 For oil, grease, wine, tea, and "organic" stains use the Marble & Granite Stain Removal Poultice Powder. For mold & mildew stains use the Mold & Mildew Stain Remover. 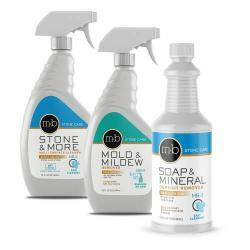 For hard water stains use the Soap Film / Hard Water Remover.